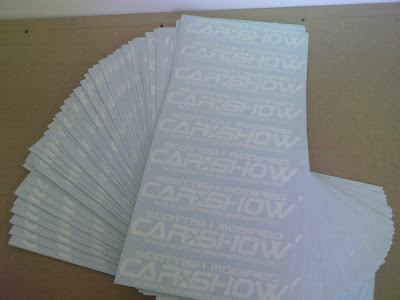 Underground Graphics are pleased to have been confirmed as exhibiting at the 2009 Scottish Modified Car show. The show takes place on Sunday 19 July at Ingliston near Edinburgh and is billed as the biggest and loudest yet! We missed out on being at the show last year and are really looking forward to the event. The Underground GTO will be on display among the Top 50 cars and we will have a stand for you to purchase and order graphics, get advice and ideas or simply stop by for a chat. 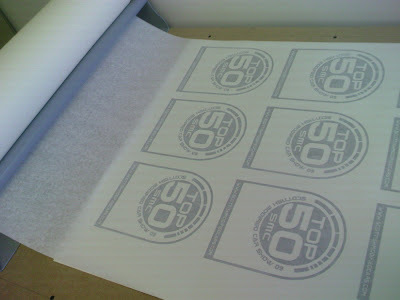 Shown above, hot off the cutter, are the Top 50 show car decals which we supplied to the show organisers along with hundreds of Scottish Modified Show stickers.